Simplicity 2209 and I have come to an understanding. She will keep being fabulous in every fabric available and I shall go about proclaiming my adoration from every (virtual) mountaintop. 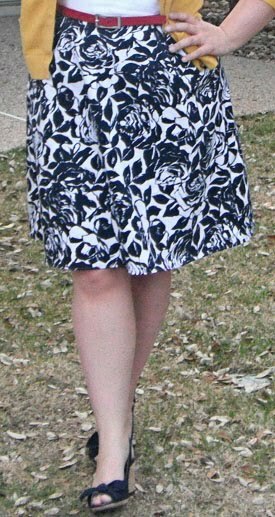 For a long time, I've wished for a simple, but interesting, sundress pattern - a cut above the traditional bodice and gathered skirt, but easy enough to sew up in a few hours. Simplicity 2209 is both of those things. I ended up loving most everything about this pattern. The crossover darts on the bodice elevate it from the normal sundress fare, while the subtlety pleated skirt is both classic and flattering. The Lisette line for Simplicity is brand new, but the designs are all equally cute. 2209 in particular ends up being a refreshingly young - but not fashion victim trendy - dress, with endless possibility for embellishment and creative alterations. It's hard not to love a pattern that ends up being this cute! My favorite part of this pattern, however, is the required yardage. That sounds odd, but it's lovely to sew up a dress with just two-and-a-half yards of fabric. That, combined with how flattering the design is, means this really is a dress I'll sew up in a few iterations. In fact, I already have - when I needed something cute and green last weekend for the Dallas Irish Festival, I snagged some green pique and sewed up a second, equally cute, version of 2209. Pictures of that will be forthcoming, as soon as I wash the travel wrinkles from it! All this gushing is not to say I didn't make some pattern changes. In the plans for this dress, there is meant to be a zipper on the left side. Unfortunately, my love of pockets trumped my need to follow directions. I have no problem with pull-over designs, so I omitted the zipper altogether and added pockets on each side - grabbing the pattern pieces from the Colette Crepe dress, my favorite pocket shape yet. If I were to keep the zipper in, I would simply shift it from the side to the back bodice. As it is designed, the back bodice is one piece, but it would a breeze to turn it into two pieces and add a zipper in the center. Additionally, I also did some bodice adjustments. Once again, I did anything I could to avoid an FBA on this pattern. Because of the overlapping bodice darts, it seemed like too much of a headache. Traditionalist sewers are probably cringing and my lackadaisical approach to alterations. Alas, I'm probably ever fated to be a renegade seamstress. In this case, my solution was to shorten the darts by two inches. The front darts are a bit odd, not going to lie. They don't come to a point like classic darts, but are rather more like large tucks. This made shortening them a cinch - there's no rotation or retracing to worry about. My other slight alteration was to adjust the armscye a bit, as there was some gaping without the FBA. In this case, I just did a bit of gathering, not even noticeable, to make it hug the body closer. Construction-wise, this dress was such an easy project. There are four darts in total - the two overlapping on the front bodice and two traditionally shaped ones on the back bodice. 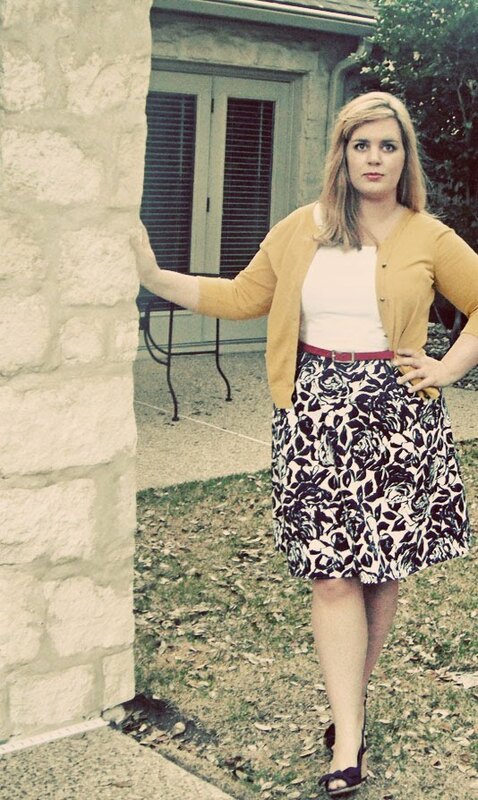 The skirt is a divinely flattering A-line, with four small pleats in the front and four in the back. 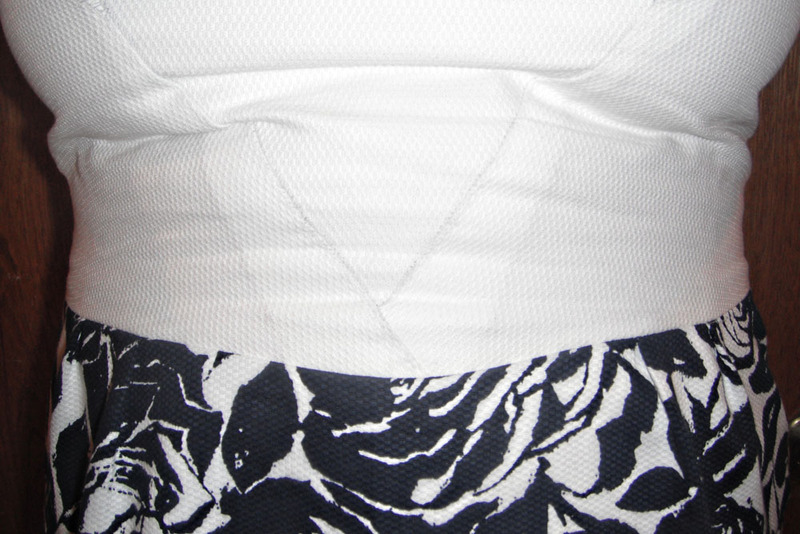 The dress is unlined, finished instead with neckline facings and bias tape at the arm-holes. These finish-outs contribute to the swiftness of construction. Aside from cutting, it took me no more than three hours to complete. One couldn't ask for a better quick sewing project! As always, I've compiled a few tips and suggestions, if you also plan try this pattern. And, really, you must. It's completely divine, all around. Omitted the side zipper, in favor of adding pockets. As I said before, it would be an easy switch to move the zipper to the back, if you want to keep it in. This dress just screams for pockets, so they're a wonderful design addition. Adjustments for a full-bust: shortened the front darts by two inches and gathered the armscyes to prevent gaping. Omit the facings and bias tape, in favor of a lining. The next time I make 2209, I'm going to draft a lining for the bodice, as the facings are a bit annoying - as all facings are. The bias binding is a brilliant finish for the armholes, but I do prefer the clean look of a lining. I'll be using a more costly fabric for the next version, so I'll take the time to add this more professional finish. Add embellishments. With such a simple pattern, there are really a mind-boggling number of ways one could add a personal touch. For me, I'm planning on adding piping and possibly a neckline bow to my next version. This really is an absurdly easy pattern, but the overlapping darts could cause a bit of trouble. Marking the darts and the center lines well is a must, so they line up correctly once sewn. Honestly, however, this shouldn't be too much of a tricky step. Simplicity has outdone itself making an interesting, but sewer-friendly pattern. You shouldn't have too much trouble with any step! ADDENDUM: Want more 2209 pictures? Check out my post of the mint green version of this dress. Oh my goodness. This is exactly the level of adorable-ness I was envisioning the moment I saw those Lisette patterns. What a great dress! I love the addition of the pockets. Thanks for the tips, I'll be sure to review your write up with I get around to making this patter. Fabulous! The darting on the front of the bodice is my favorite because it's so unexpected. I love how it turned out! At first I thought they were separates...I love how you combined the two into a dress! About the FBA...have you checked out the Full Busted DVD? I got it a few months back, and I loved it! You might be able to find a book that is equally helpful, but that's really the only resource I've looked for on that topic. The best part is they go over how to work with different bodice types and dart placements. It might've helped with this pattern. Anyway, good job on another great dress! Thanks, Garnet! :D I can't wait till you try these patterns out also! Seriously, the possibilities for adorable looks are endless. Such a wonderful pattern. Hi Mia! Pockets are possibly my favorite pattern change ever - they're just so convenient, you know? I would say good luck when you try this pattern, but I know you won't need it. It will end up adorable, I'm sure! Steph, that's my favorite part too - and what really sold me on the pattern. Also, I really, really wish we'd taken pictures this weekend. It took forever just to get one good shot. I'm contemplating just forcing our dear Sarah into snapping all my pattern photos from now on. Torturous! Sabrina, no I haven't heard of either the Full Busted DVD nor the book. Thanks so much for the suggestion! I can handle straight-forward FBAs, but when it gets more complicated than princess seams or traditional darts, my knowledge base dries up. It would be great to have a resource for the more complicated constructions. Thanks, Alexandra! I'm so glad you like it! I'm so glad you're pleased with the pattern, and I think the changes you made are terrific. It really looks wonderful on you. Thanks for the review! 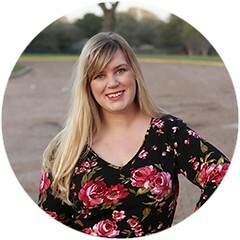 Liesl, thank you so much for stopping by the blog! And, quite honestly, thank you in general for designing these patterns. I can't tell you how wonderful it is to finally see classic-inspired modern designs from a major pattern company. Good luck with this new venture! 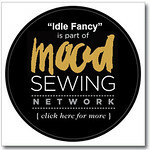 If our excitement on this blog is any indication, you must be overwhelmed with joyful home seamstresses! Hi! I came here by way of Pattern Review. I got this pattern a few days ago, and I can´t wait to try it out. You did a wonderful job! I have bookmarked your post so I can refer to it when I'm ready. Hi Ana! Thanks so much for coming by the blog - and reading my review on PR, for that matter! I'm thrilled that it was helpful. Sewing a pattern that no one else has posted about is a bit nerve-wracking, not going to lie, so I'm just happy it didn't turn out to be a mess! Gorgeous! I love the fabrics you chose! Hello! I just got this pattern and googled the pattern number which brought me to your blog. I notice you left out the zipper... is it easy enough to still pull it over your head/bust without having a zipper? Did you have to make any additional alterations? Your dress is amazingly cute! I can't wait to make mine (tonight I think!). Thanks! Hi Carolyn! Thanks for stopping by! Aren't the fabrics wonderful? I still can't believe they're from Hancock's. Their spring line of piques is amazing. Hi Heather! I'm so glad that Google led you here. As far as leaving out the zipper, it was an easy decision to make simply because the dress is so easy to pull over my head. The pattern has just the right amount of ease in it to make this possible. 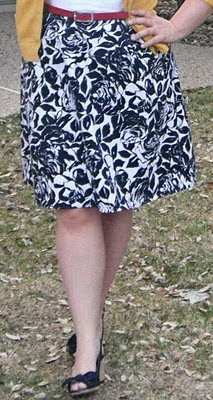 On Pattern Review, there is actually another girl who opted to do the same thing and also found it easy to pull-over. That being said, however, since I chose pique there is a bit of stretch in my fabric already, which might make it easier to do as well. 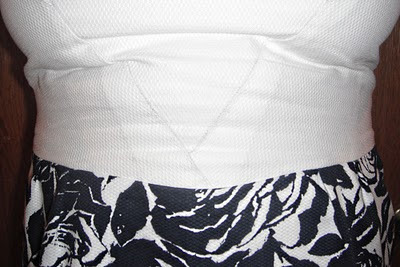 If you are worried about the zipper, leaving it out is a great idea...or, conversely, moving it to the center back. I really don't think it's a great pattern for the suggested side lapped zipper. Those are really all the alterations I made! This was such a wonderful pattern, even without tons of fitting alterations, which is both rare and awesome. Good luck on your own version! Do you plan on posting pictures, once you've sewn it up? I would LOVE to see another 2209 version.